In your busy diner, you want to get your food out as quickly as possible while still giving a great presentation. Complete your signature breakfast sandwiches with this egg ring. 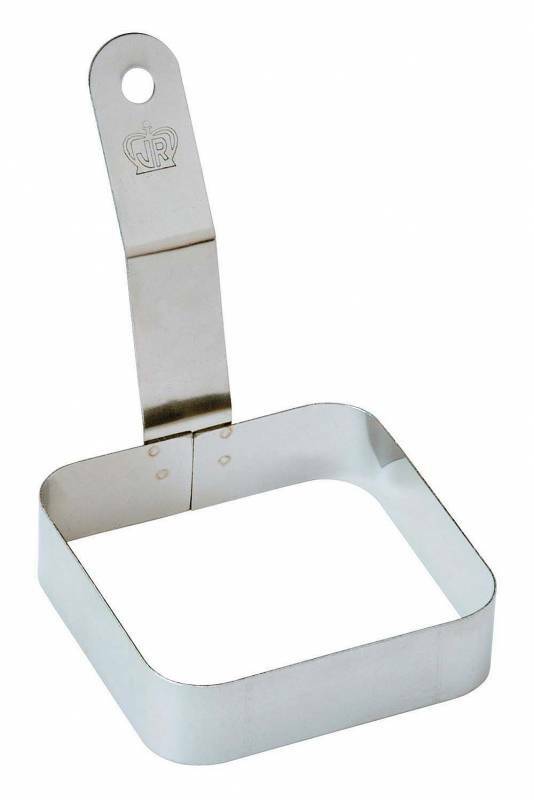 This stainless steel tool helps form a square shape to the yolk and whites. Simply place this ring on your cooktop, crack the egg into the ring and wait for it to cook. The ring won’t allow any yolk to seep underneath itself and onto your grill. Your cooked egg will be well suited for English muffins, bagels, biscuits and more. Don’t let your eggs slide out of your customer’s sandwich; keep its contents secured with a perfectly-shaped egg.